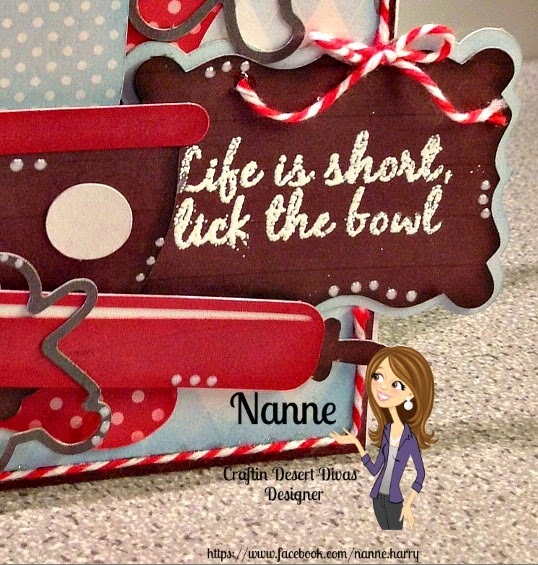 It's Nanné here to share a cute little holiday card I created using one of the sentiments from the "Baked With Love!" stamp set.. I'm on a twine kick right now..LOL Every project has to have some twine on it and for this card, I ran it along the edge of my card and added a little bow above my sentiment label..
and there ya have my cute little Xmas card I created..